Yesterday when I picked a new theme for my purely indulgent Tumblr blog which I notice is mostly girly girl gowns I ran across this great travel idea and a most wonderful story to share in case you didn't see this. 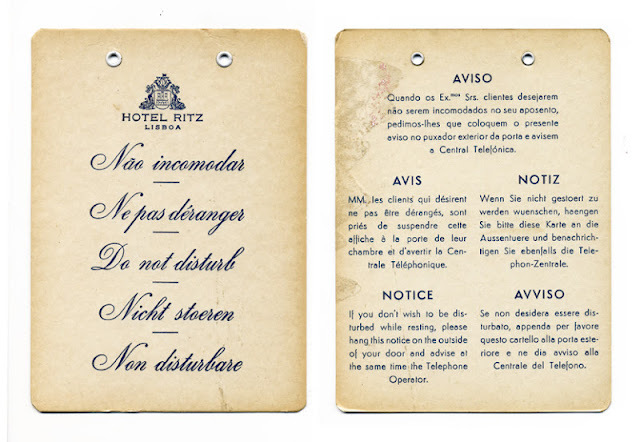 The grandfather of Michael Lebowitz, the founder and CEO of Big Spaceship, a very successful digital and marketing communications company in Brooklyn, collected hotel door hangers whenever he traveled abroad. 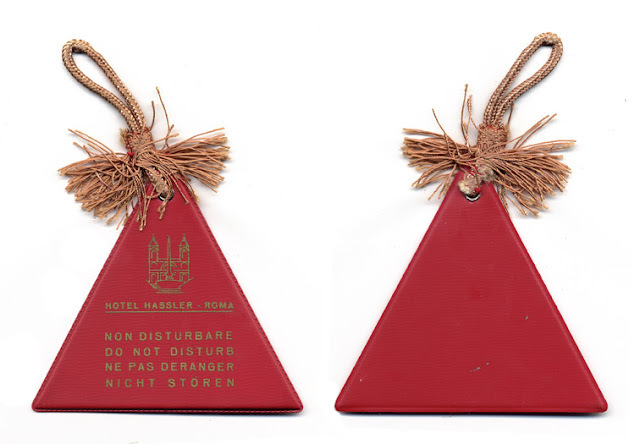 When he passed away, Lebowitz brought his grandfather's travel keepsakes memorably together which you can see on his Tumblr here. It is fascinating to see how the hanger designs so perfectly capture the place and if you are thinking what I am thinking............hotels can expect a run on Do Not Disturb in any language as travel keepsakes. Wouldn't they be fabulous as a framed collection? Off to Rome to find the red tasseled one. What a wonderful collection Sande.....when I see things like this it makes me wish that I had started a similar collection when I was 10 !! How wonderful Sande! I agree with Jacqueline...my sister has collected silver and gold charms from all of her travels!! You should see them, the latest from Peru! So much more interesting than collecting snow shakers from every corner of the world. 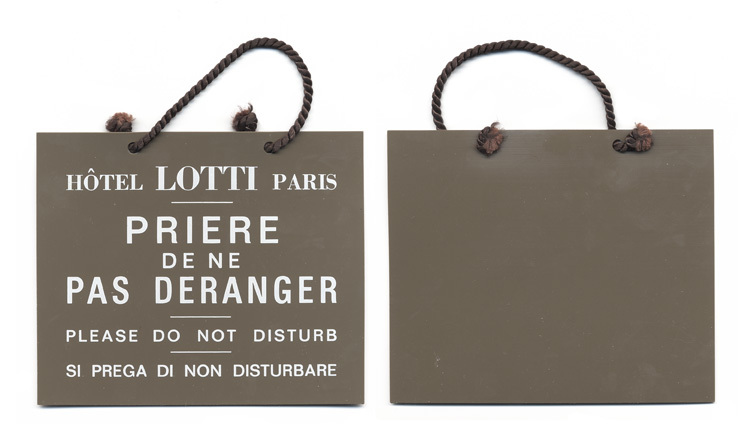 My favourite door card hanger I have ever seen said 'DO NOT DISTURB' on one side and "DISTURBED' on the other. These indeed would be great keepsakes. I could imagine putting them on my guest room doors! What a wonderful collection! I've saved some over the years, but I never thought of framing them. I love your blog and your tumblr! What a wonderful keepsake from his Grandfather, be lovely framed!